The next generation in outdoor living. 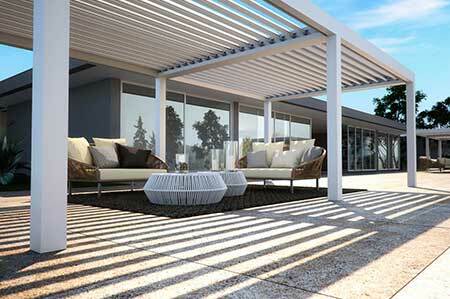 Aerotech Series Opening Louvred Roofs combine clean architectural lines with advanced engineering ingenuity. 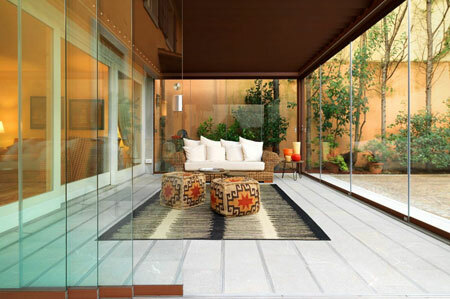 Skymax is helping architects to redefine the boundaries between inside and out. Skymax offers a range of control options to ensure you achieve total climate control. 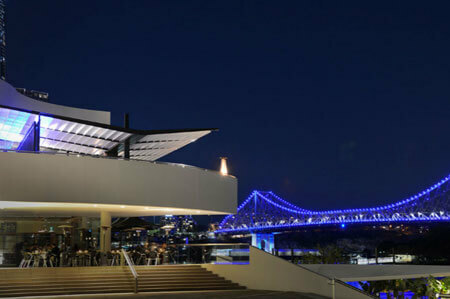 We are privileged to have worked with many of Australia's leading architects, builders & developers. Skymax accessories will ensure you achieve optimal living comfort all year-round. Skymax will assist from the early planning stages through to a successful project outcome. 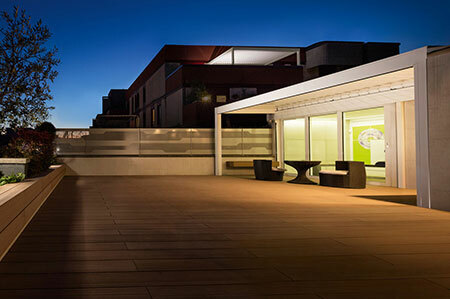 benchmarks in the design & engineering of our Aerotech Series – Opening Louvred Roof System. The Aerotech Series incorporates a unique design language that is recognisable in an instant. The first part is the unmistakable linear shaped blade design that offers unobstructed & clear views through. The second part begins at the underside when blades are in the closed position & the horizontal lines characterise a minimalistic design ethos. SkyMax offers a comprehensive range of accessories that are specifically designed to integrate with your Aerotech Louvred Roof. 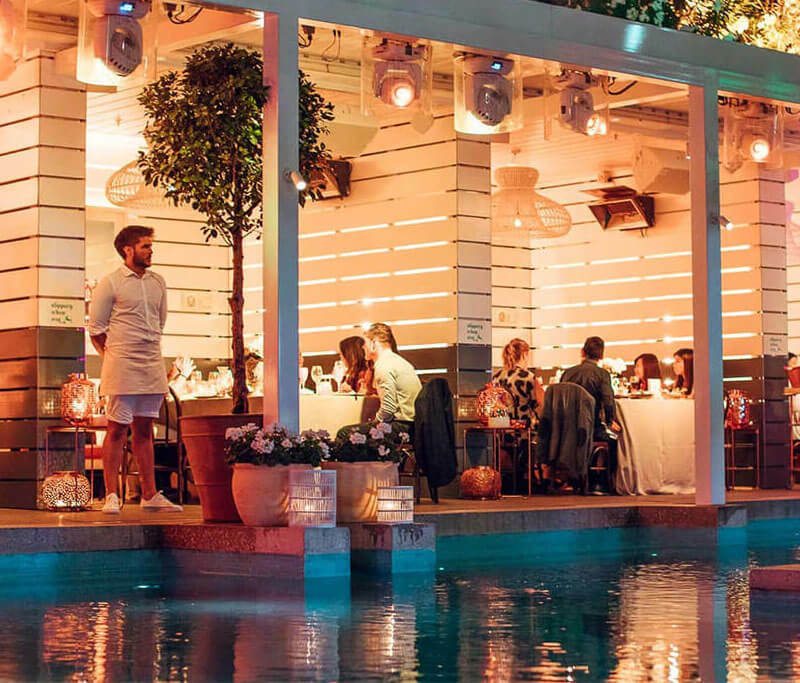 Our Lighting, Heating, Audio & Enclosure systems are easily controlled all from one device to ensure your indoor – outdoor living environment is comfortable year-round. SkyMax has developed an easy way for you to develop a project specification. All you need to do is to select from each of the 5 steps within our Design Your System page & you will be on way to creating a specification. If a project costing required enter this information into our ‘Project Costing’ tab & we will email an accurate costing based on this information. Enter the Design Your System page to start your specification now. 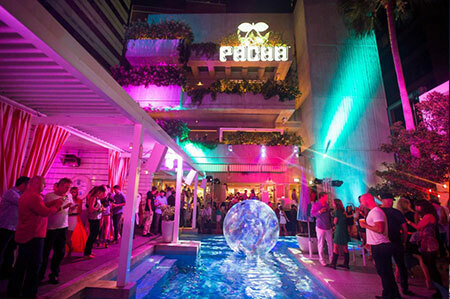 The next generation in outdoor living. Aerotech Series – Opening Louvred Roof Systems combine clear, simple architectural lines with advanced engineering ingenuity. SkyMax Aerotech Series Opening Louvred Roofs are manufactured to your specifications & are available in a sophisticated range of colours & finishes. Our Image Gallery showcases some of our past designs, colour combinations & integrated accessories that may inspire you at design stage. 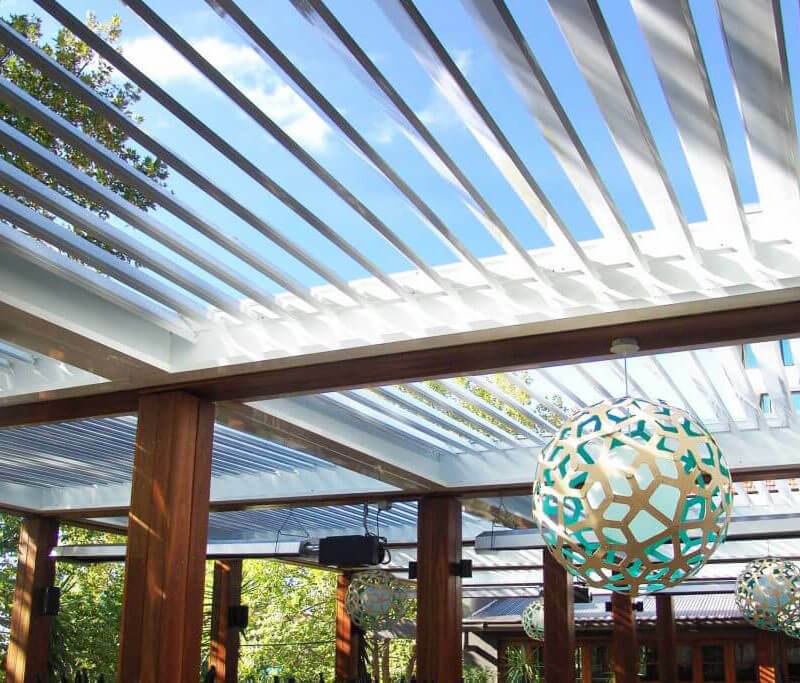 SkyMax Aerotech Series Opening Louvred Roofs have been intelligently designed to incorporate four very distinct design features that elevate the Aerotech System. As a company our point of difference that unifies our product range & team in Australia is purely based upon the principles of Innovation, Structure, Craft & Quality Standards. As a team we are privileged to have worked with many of Australia’s leading architects, developers and builders, forging lasting relationships from delivering high-quality products that have lasted the test of time. Tecnic is one of the worlds leading brands for superior quality Retractable Fabric Roofing & Architectural Umbrella Solutions. 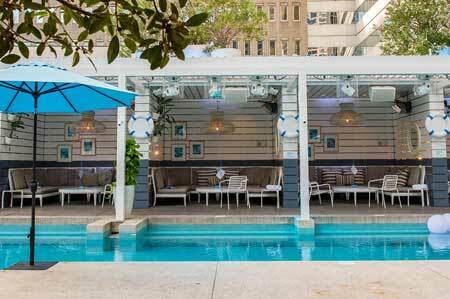 Tecnic offers Australian architects & designers innovative fabric roofing solutions for all commercial applications. – view the Tecnic website for more information. 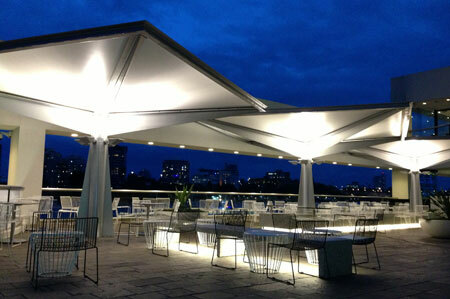 The Street Umbrellas range is highly regarded & specified regularly for leading commercial projects worldwide.